For three years now, the Black on Black series has challenged those portrayals by exploring some of the structural and historical oppression people of color have and continue to face through art that spans media including sculpture, mixed media, paintings, performances, videos and more. This third iteration of Black on Black, BOBV3, looks at how people of color have come up with solutions and ways to deal with the continued oppression, degradation and daily emotional labor endured. The artwork in BOBV3 seeks to heal and reveal the agency that people of color have always had. 5-8:00PM! Be among the first to experience Black on Black, version 3! The biggest, most ambitious BOB exhibition yet! Doors open at 7pm! This insanely fun evening will celebrate Black history, storytelling and libations. Many libations. 3-5:00PM. One tour guide + 2-3 artists + one trolley = a unique glimpse of what Raleigh was, is, and could be! Come help us envision tomorrow! Guest curator + BOB Projects founder Mike Williams is taking BOBV3 to new levels. Mike Williams is about fostering community. He spent 15 years in media at The News & Observer where, among several roles, he was the curator of ArtsNowNC.com and managing editor of the triangle.com and Triangle Today publications. A graduate of North Carolina Central University in Durham, Williams founded the Black On Black Project as an extension of the first Black On Black exhibit, which Williams guest curated with Linda Dallas at VAE in 2016. The BOB Project works with artists of color on exhibitions and events that discuss issues affecting the community and seeks to bring communities closer together by promoting the principle of equity. 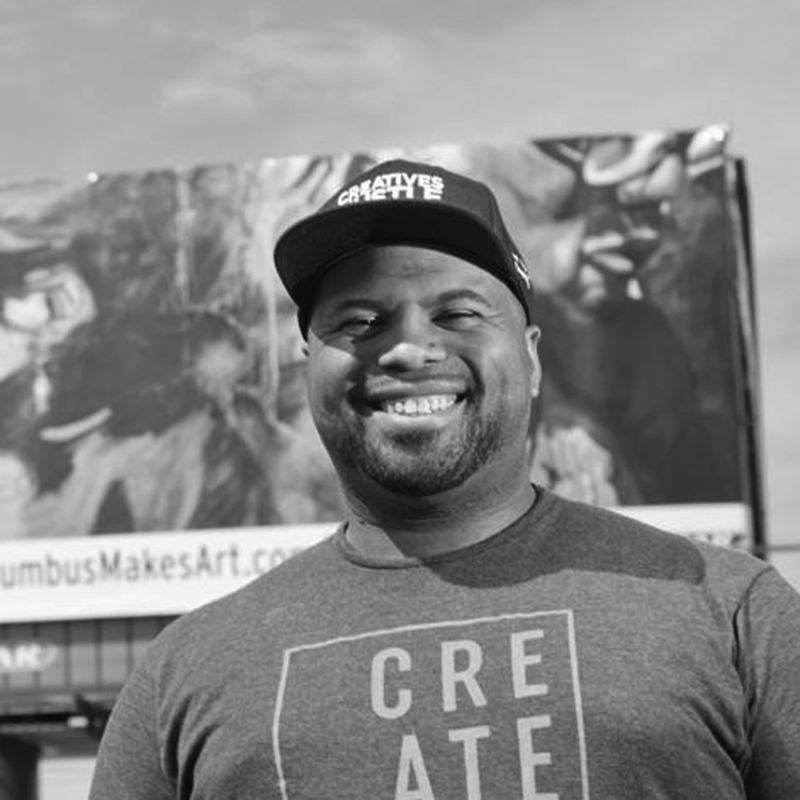 Mike has been a mentor at Neighbor2Neighbor in Southeast Raleigh, is currently working with the youth at DREAMs of Wilmington in the Port City, helping them engage with artists through community programs. Before Black on Black was a series of ambitious exhibits or a community-nourishing project, it was four people chatting over lunch in 2016—two folks from VAE staff, Mike Williams, and Linda Dallas. When the conversation turned to how the arts should best celebrate and empower Black creativity, Mike and Linda’s shared vision, drive, and perspectives as educators and mentors lit a spark. A few fast months later, the first ever Black on Black exhibition opened in VAE’s main gallery and featured work by artists of color thinking about how they told their own stories vs how other people might. The exhibit was a pivotal experience for VAE and its guest curators, changing how VAE structured community partnerships and exhibitions going forward, and opening the door for Mike to found the Black on Black project and elevate community awareness and appreciation of the outstanding talent present in the Triangle’s Black community. To show Blue Cross NC commitment to diversity, artists for BOBV3 were paid, in part, through the Blue Cross NC Artist Fund. Visual Art Exchange is supported by United Arts Council of Raleigh and Wake County. Visual Art Exchange is funded in part by the City of Raleigh based on recommendations of the Raleigh Arts Commission.